Home / Medical / Realizations / Thyroid Cancer / The day I learned that I have cancer. "I've got a good and bad news for you. Good or bad news first? ", he continued. "Lemme hear the bad news first", I reckoned with a shivering voice. "You were found to have a mass in your neck and on the initial examination this felt discrete from the thyroid. However ultrasound confirms that it is a 29mm mass arising from the isthmus. There are micro calcifications. There were no lymphadenopathy identified...", he expounded. Confused with all the medical terms, I asked, "So, which means?" "I performed a fine needle aspirate if you can remember which has shown features of Papillary Thyroid Carcinoma, therefore I would be grateful for you to consult a surgeon to discuss surgical management of this." he continued then there was silence. My mind started to shut off. My dreams of working in New Zealand and getting a residency were shattered. I can't help my tears from falling down. Different thoughts flash in front of my very eyes. 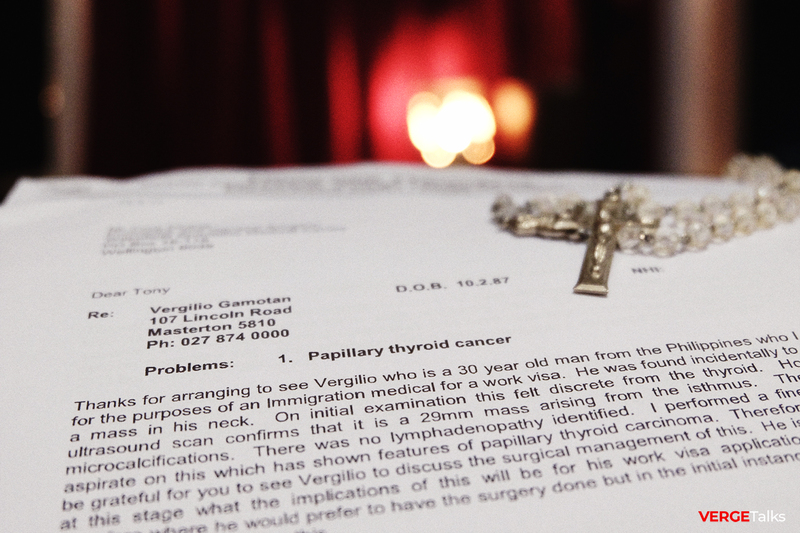 A thyroid cancer diagnosis can be difficult. And I wanted to reassured that you are not alone. My goal in reviving this blog is to offer help, hope, and support to strengthen the knowledge through education. I wanted to help you feel part of a community of survivors as we cope with emotional and practical concerns. And part of it is to introduce you to the many free services, information resources, and events that can help you overcome this challenge in your life, same as I did. This also will serve as a journal to inspire, that deep passion to help with free resource, information readily available to the public, especially here in Cebu City , and how to prepare financially and learning which agencies and support groups to go to that might offer help.